This online training program prepares students for the Microsoft Certified Solutions Associate (MCSA) Windows 7 certification. This MCSA certification is the ideal way to demonstrate ability to identify the cause and resolution of desktop application, network, and security issues. It helps validate ability to support and maintain systems and mobile devices that run Windows 7. 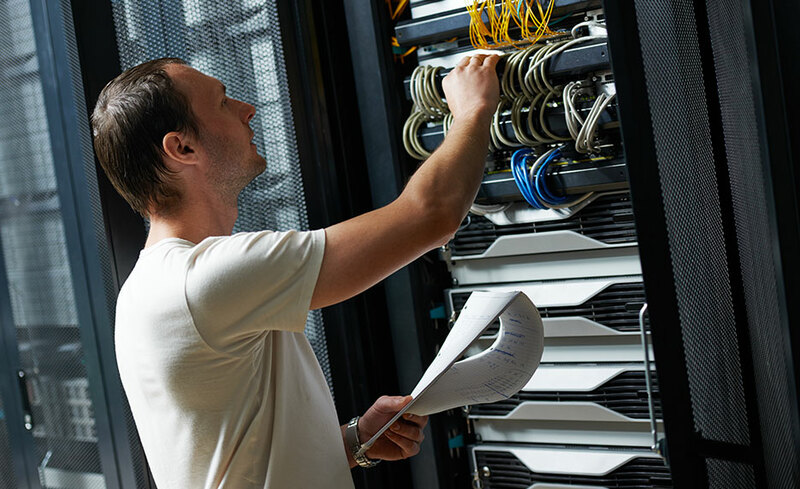 Impress employers by updating your technical support skills. In this program, you will prepare for the Microsoft Windows 7- Configuring (70-680) and Windows 7-Enterprise Desktop Support Technician (70-685) certification exams, as you learn to configure systems and resolve desktop application, network, and security issues in a Windows 7 environment. Microsoft Certified Solutions Associate (MCSA): Windows 7 includes two courses, Windows 7 Configuring and Windows 7 Enterprise Desktop Technician. These courses will train you to support Windows 7 end users and support and maintain systems and mobile devices that run Windows 7. The lessons in this program combine in-depth information with simulated labs that give you hands-on practice that will help you develop the skills you need. You will also receive two textbooks: Self-Paced Training Kit (Exam 70-680): Configuring Windows 7 by Microsoft Press, and Self-Paced Training Kit (Exam 70-685): Windows 7, Enterprise Desktop Support Technician (Pro - Certification) by Microsoft Press. Upon registering, you will receive twelve (12) months to complete this program. This program can only be taken on a PC. You will need Internet Explorer version 8 or higher. You will also need Windows XP, Vista, or 7. In addition, you will need Adobe Flash and Adobe Reader. Java must be downloaded and installed manually, as it's not installed by default on Windows 8. This program is ideal for you if you have six (6) to twelve (12) months of experience supporting end users of a desktop operating system and would like to become highly proficient in providing technical support in a Windows 7 environment. Chris Lobban has industry experience with an extensive range of hardware and software solutions. Before working as an instructor, he worked both in a help desk environment and as a quality assurance analyst. He received his formal training as a computer networking and technical support specialist at Seneca College. Chris has earned CompTIA A+, Network+, Server+, and Security+ credentials, as well as Microsoft MCSE (Windows Server 2003), MCSA (Windows Server 2003), MCDST (Windows XP), and MCITP Enterprise Desktop Support Technician (Windows 7) credentials. He is a Microsoft Certified Trainer (MCT) and a CompTIA Certified Technical Trainer (CTT+). All of our programs are self-paced and open enrollment, so you can start them when you want and finish them at your own pace. Most programs allow you 180 days after your register to complete them. No, all the materials are included. No, this program must be taken on a PC. 12. How do you do the applied labs if you don’t have equipment? The majority of labs can be done using the online lab system. A link to schedule the lab is included with the course for each lab that can be done online.